What Is User Testing and Why Is It Necessary? User testing is conducted in order to find out which problems users are facing, what features could be added or if the product is easy and enjoyable to use. It can be conducted in different stages of product development and/or launch. User testing can show issues or a bad user experience and helps alleviate these problems before the launch. Even though user testing can be costly, it can save resources later on. How Does User Testing Work? Planning user testing thoroughly can make the difference between identifying real product issues and spending resources in vain. Product managers should prepare user testing well in advance, as there are many methods available which depend on the number of testers and on remote or in-person testing. To provide a proper overview of what user testing is and how it works, we’ve published an eBook that contains in-depth information and best practices of user testing. We talk about why designing experiences is more important than designing products. And we bring you 6 expert interviews from thought leaders in the industry. 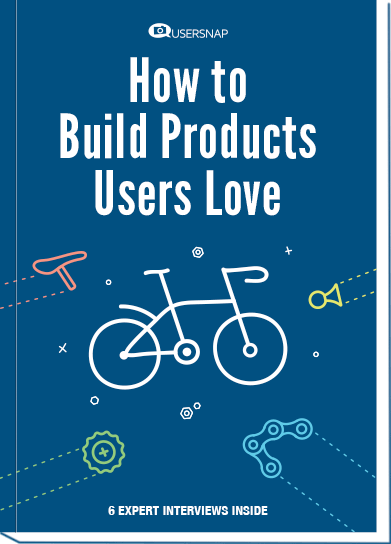 Download the eBook and find out how user testing can help your company launch better products and provide better experiences! 2015 in web development. Explained in 7 funny GIFs. So it’s already that time of the year. People go on christmas holiday and spend the last days of the year with their loved ones. And while you are enjoying your vacation, please check out our take on the year 2015 in web development as presented by 7 funny GIFs. Enjoy!